Q: Talk to us about the state of developmental football in 2019. A lot of buzz. EL: We’re tremendously excited about where TSL is heading into the ’19 season, both from a personnel standpoint and a business standpoint. This off-season witnessed an explosion of interest in developmental football, from the Alliance launch to XFL’s resurgence to additional TSL Showcases. There has never been a better time to be an aspiring professional football player. The Spring League’s mission is to serve as a launching pad for deserving players to fulfill their dreams of playing professional football. We look forward to a lot of success stories emerging from our 2019 season. 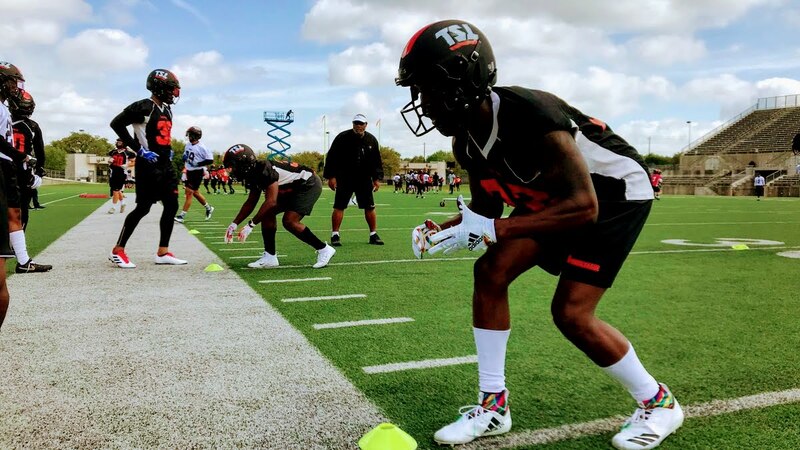 Q: What changes can we expect to see from The Spring League in 2019? EL: A few big ones, certainly. We are excited to welcome the XFL as a partner for the 2019 season. They will be on hand scouting players, testing rule changes, and experimenting with a litany of new technologies. You will also see a greater focus on data, intelligence, and analytics via our partnership with STATS. Overall, a cutting edge experience for players and various leagues on hand looking to evaluate talent, and in-line with our goal of making the game safer for all participants. Additionally, you’ll see a much larger international presence from our player pool this year. You’ll see players from Japan, Australia, Brazil, and Germany to name a few. We believe this represents a big opportunity for the game of football. The Spring League is the ideal platform to train and evaluate international talent. Look for this trend to continue. Q: You’re back in Austin, Texas for the second season. Tell us what went into that decision and can we expect a further embrace of the city in year two? Austin is a terrific host city. Great weather, highly accessible and of course an ideal venue for our needs in Kelly Reeves Athletic Complex. We do have a surprise for the local community, which we’re excited to announce within the upcoming weeks. Hopefully the city will embrace it and come out in full support. Stay tuned!